On the night He was betrayed, Jesus went into the garden of Gethsemane and began the climactic experience of His life on earth—His passion, crucifixion, death, and resurrection—with fervent prayer to His Father, our God and Creator. In that garden, Jesus was well aware of what was about to happen and why. As Saint Mark’s Gospel records, “He [Jesus] advanced a little and fell to the ground and prayed that if it were possible the hour might pass by Him; He said, ‘Abba, Father, all things are possible to You. Take this cup away from Me, but not what I will but what You will’” (Mark 14:35–36). In those moments of sorrow and dread, Jesus found the hope, faith, and strength to continue with His mission. Two millennia later, I unexpectedly found myself in my own personal garden of Gethsemane with Jesus and my infant son, Brendan. And in the midst of the tragedy of my son’s death, I too, found the hope, faith, and strength to carry on. 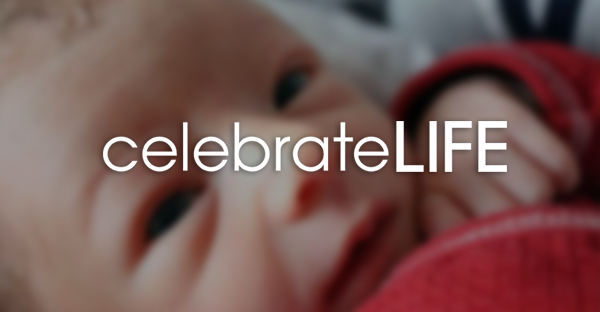 In April 2011, my wife, Lisa, was pregnant with our second child—a son. Our three-year-old daughter, Isabella, Lisa, and I were all eagerly awaiting Brendan’s arrival, which was expected in late June. The pregnancy was progressing normally, and we were busily preparing for him to join our family. But on Good Friday (April 22), Lisa developed complications that threatened her and Brendan’s lives. Neither of us was prepared for this. That afternoon, she was admitted to the hospital, and the doctors tried to prolong her pregnancy as much as possible—to improve our son’s chances for survival. Four days later, Lisa and Brendan’s conditions worsened. Lisa’s doctor decided to deliver Brendan by emergency Caesarean section, at 30 weeks. He was quickly cleaned up, placed in a portable life-support unit, and brought over to us. He was so little: just one pound and nine ounces, and 12.5 inches long. Brendan looked at us with his beautiful brown eyes as if to say, “Don’t worry, Mom and Dad. I’ll be OK.” He then went into the hospital’s neonatal intensive care unit (NICU). Though he was so small, Brendan had a very good chance of surviving. He was in one of the best NICUs in New Jersey. He was benefiting from some of the most advanced medical technology available. And by then, hundreds (if not thousands) of people were praying for him as phone calls, prayer chains, and e-mails spread his story from New Jersey to Hawaii. Since the Divine Mercy Novena starts on Good Friday, Lisa and I had been praying the Divine Mercy Chaplet every night in the hospital. I fully expected that Brendan would be coming home alive with us in early July. Brendan did well during his first two days of life, but by the afternoon of Easter Thursday, he had developed serious problems in his intestines. By the next morning, his condition had worsened. The doctors began making plans to transfer him to the more advanced NICU at the Children’s Hospital of Philadelphia (CHOP). It was not until Brendan’s doctors started talking about CHOP that I realized he might not survive. Lisa and I requested that a priest baptize him. A short while later, a priest arrived from a nearby parish to administer the sacrament. His baptism was a huge relief for us, because regardless of the outcome, he had been claimed for Christ and officially made a member of the Catholic Church. After baptizing Brendan, the priest met privately with Lisa and me. He offered compassionate but realistic words of consolation. He said the doctors and staff had done everything possible for Brendan; we now had to place him in God’s hands and trust in Him. He equated our current situation with that of Jesus in the garden of Gethsemane. My first reaction was disbelief. I couldn’t believe he was giving up on my son and that he had already written him off. In my mind and heart, Brendan was still going to pull through. I wasn’t giving up on him. A few minutes later, I was back inside the NICU, standing next to Brendan. Upon further reflection, I realized that the priest was absolutely right and that his comparison of our situation with that of Jesus in Gethsemane was most appropriate. The doctors and staff had used all of their medical knowledge and technology to the fullest extent possible. It was now time to trust God to do what was best for Brendan. But I was still hopeful that God would save my son. Less than an hour later, Brendan’s condition was rapidly worsening. The problems in his intestines were causing serious problems for his lungs and heart. I suddenly realized that Brendan wouldn’t survive. It was a devastating moment when I realized God had decided to bring my son home to Himself and I wouldn’t be able to change His mind. I had reached the absolute limit of my hope and faith, and I knew then that persisting in pleading with God for my son’s life would be praying against God’s will. Brendan’s lungs and heart could not handle the severe problems in his intestines. With his heartbeat dropping rapidly and no hope of survival left, Lisa asked that he be removed from the life-support equipment. Brendan was wrapped in a blanket and given to her. He died a few minutes later in his mother’s arms. Two of our friends arranged to have a photographer affiliated with the Now I Lay Me Down to Sleep organization1take photos of Brendan. These photos have become a very comforting visual reminder of him. Several days later, we had a funeral Mass offered for Brendan at our church. Close to 100 people came to his funeral: family, friends, Knights of Columbus, my boss, several coworkers, three Navy chaplains, and several Marines who served with me in Iraq in 2009. Afterward, we buried Brendan in a veterans’ cemetery. People often ask me how we are dealing with the loss of our son. The simple answer is family, friends, and faith. Lisa and I were fortunate to have tremendous support from our family and friends. Family members took care of Isabella at various times before and after Brendan’s death, and helped us out in numerous other ways. Our funeral director promised us, “I will treat your son as if he were my own,” and he lived up to those words. Our priests were a tremendous source of spiritual comfort. 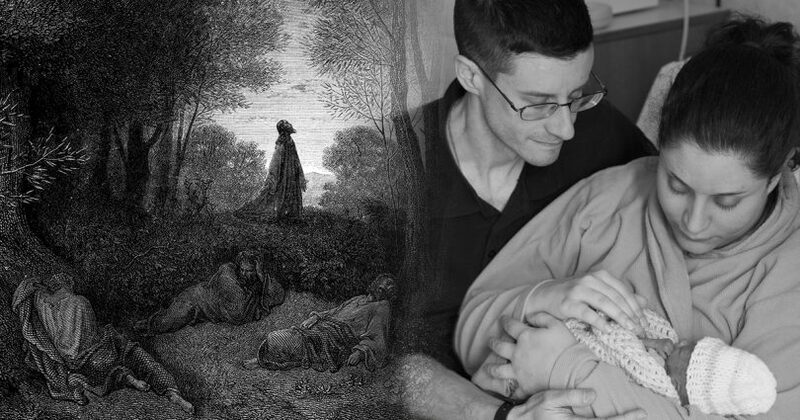 They offered pastoral counseling during Brendan’s short life and afterwards, as we struggled with his death. They helped us arrange the funeral Mass and concelebrated it. Lisa and I have joined a support group for parents who have lost children, provided through the health care network that cared for Brendan. Talking with other parents who have had similar experiences has been very helpful. Unless you’ve lost a child, you have no idea what a horrible ordeal it is. And no one can understand your pain like someone who is experiencing the same pain. Above all else, faith is enabling me to bear the unbearable and help my family through this traumatic event. I don’t feel abandoned or punished by God. He has given me the strength to continue whenever I’ve asked Him for it. While we don’t know why God allowed this to happen, we’re tremendously grateful to God for the time we were able to spend with Brendan. We were able to be with our son and hold him, even if it was just for four days. I know that many grieving parents feel angry, and I don’t judge or criticize them for feeling that way. But rather than feel anger or mourn for the earthly life we won’t share with Brendan, I’ve chosen to focus on the time we did have with him. Anger won’t bring our son back, nor will dwelling upon what might have been. Our newborn son died, and nothing I do will change that crushing reality. This isn’t to say that dealing with the loss of a newborn is easy. Every day has been a struggle—some days more than others. This is a struggle I’ll endure for the rest of my life. As He prayed in the garden of Gethsemane, Jesus knew that on the other side of His impending ordeal was a glorious resurrection, a return to heaven, and the salvation of mankind. Now in the midst of my own personal version of Gethsemane, I’m sustained by God’s love, the knowledge that my son is with Him, and the hope that I’ll see them both in heaven for all eternity. 1Now I Lay Me Down to Sleep’s mission statement: “To introduce remembrance photography to parents suffering the loss of a baby with the gift of professional portraiture. We believe these images serve as an important step in the family’s healing process by honoring their child’s legacy.” Upon request, a NILMDTS photographer will come to a hospital or other facility, and sensitively conduct a private portrait session. The portraits are then professionally retouched and presented to the families on a DVD or CD. These services are provided at no cost, and NILMDTS is supported by donations. Visit NowILayMeDowntoSleep.org, or call 720-283-3339 or 877-834-5667. Bryan Dickerson is a freelance writer, a fourth-degree member of the Knights of Columbus, and a Navy veteran of Operation Iraqi Freedom. He and his family live in New Jersey.